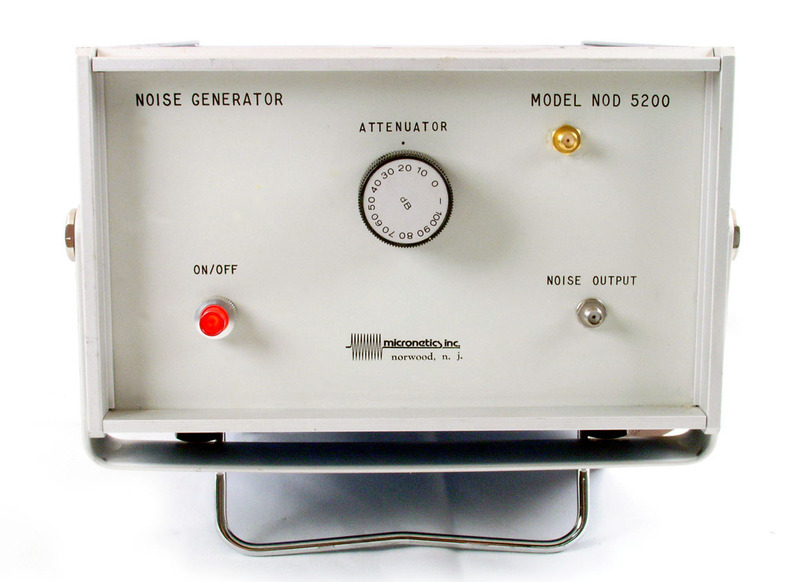 Micronetics NOD5200 - 100 Hz to 1 GHz Broadband Noise Generator. 75 Ohm with two decade atteunator option. 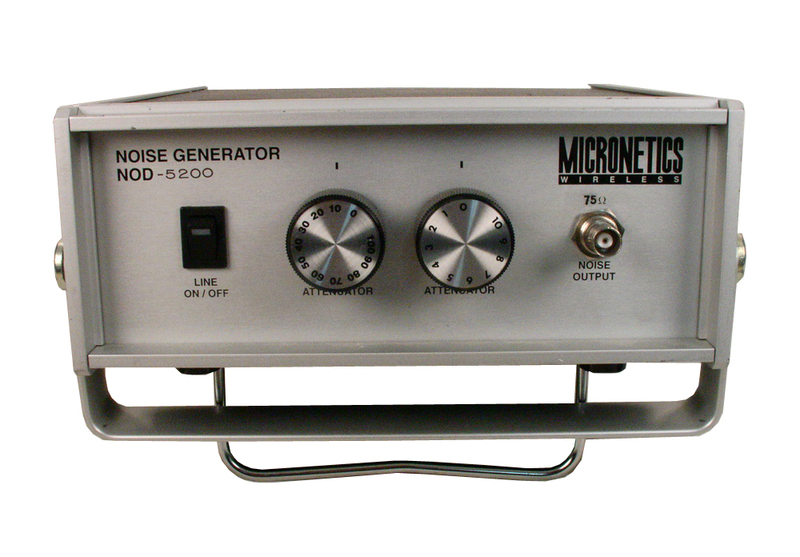 Micronetics NOD 5108 - noise generator. 100 Hz to 300 MHz. 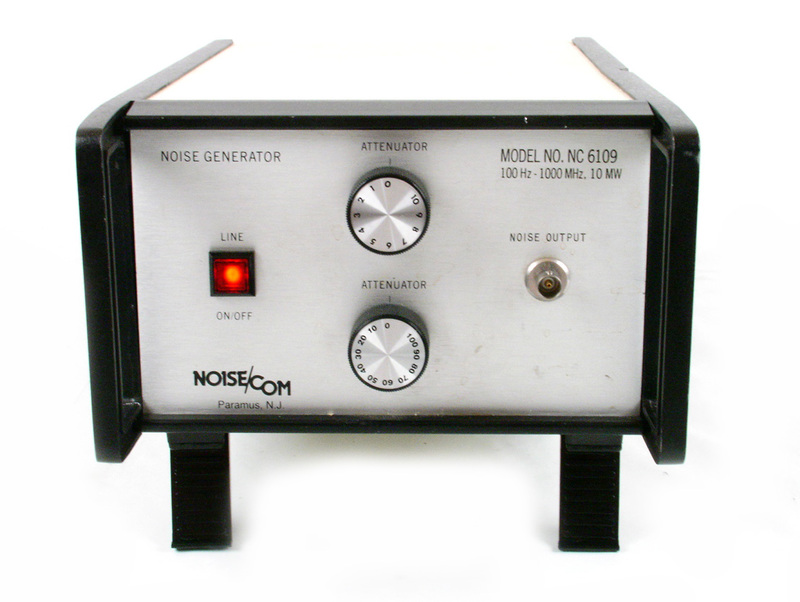 Noisecom NC8111 Noise Generator. 5 MHz to 1 GHz. 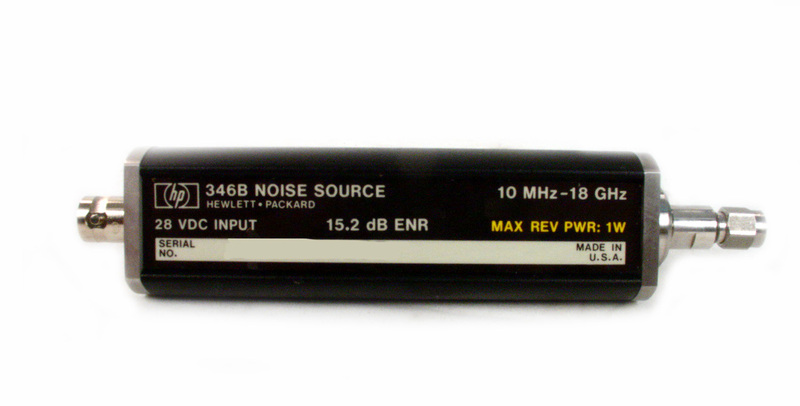 1 Watt output with 0-10dB attenuator in 1dB steps. Option 07 Type N output connector. 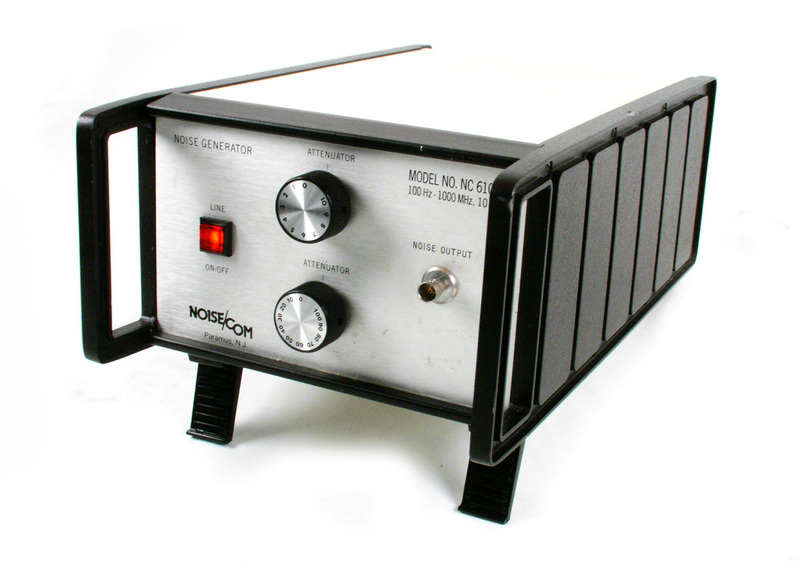 Noisecom NC8111 Noise Generator. 5 MHz to 1 GHz. 1 Watt output with 0-10dB attenuator in 1dB steps. 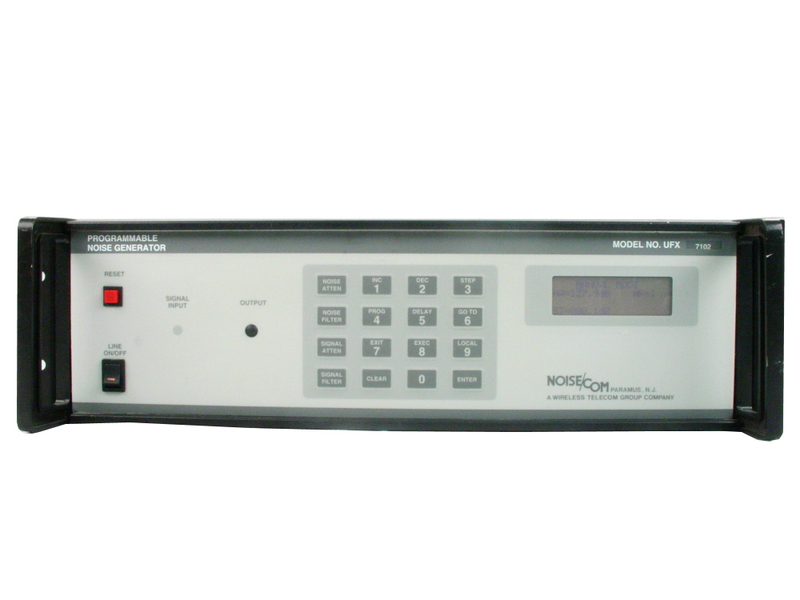 Noisecom NC8105 Noise Generator. 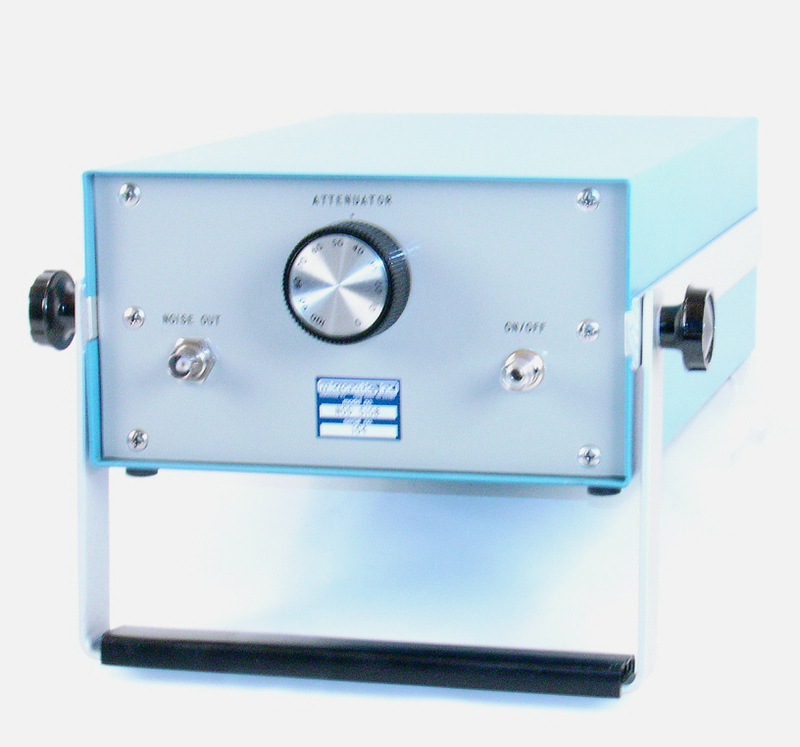 500 Hz to 10 MHz with combiner and 0-110dB attenuator in 1dB steps. 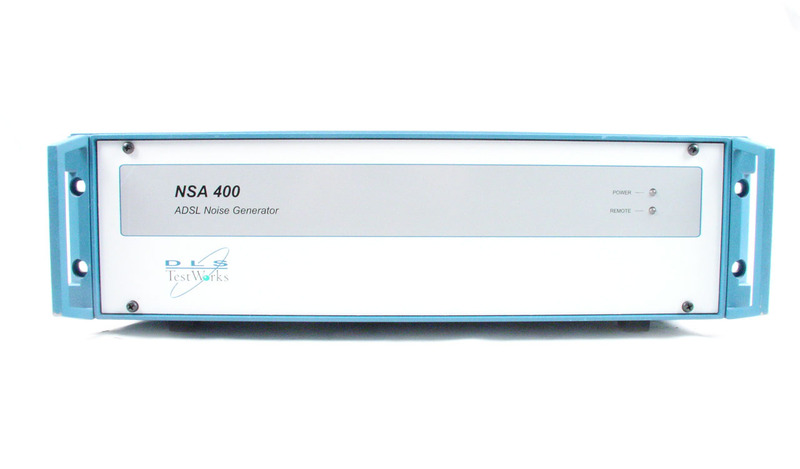 Noisecom PNG5200 - 5 MHz to 1 GHz Programmable Noise Generator. 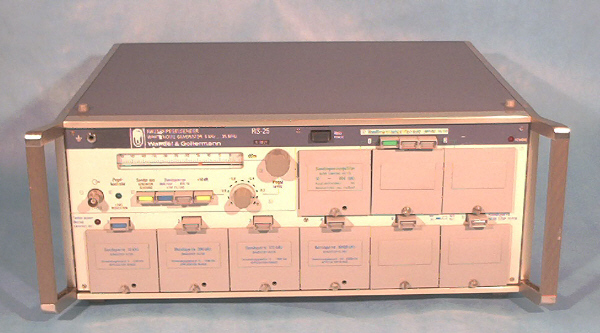 Noisecom UFX BER-8 - Precision C/N generator. Carrier freq is 8 MHz. 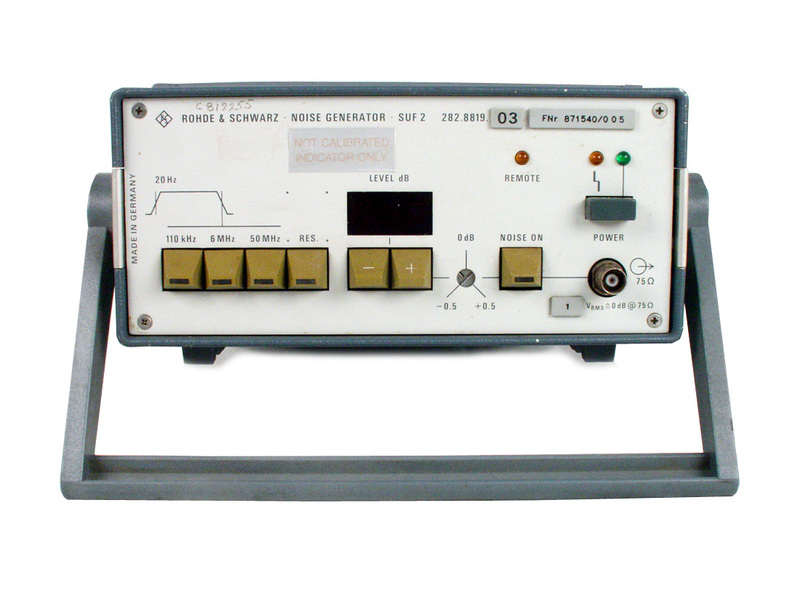 Noisecom UFX7107 - Programmable White Gausian noise generator. 100 Hz to 100 MHz. 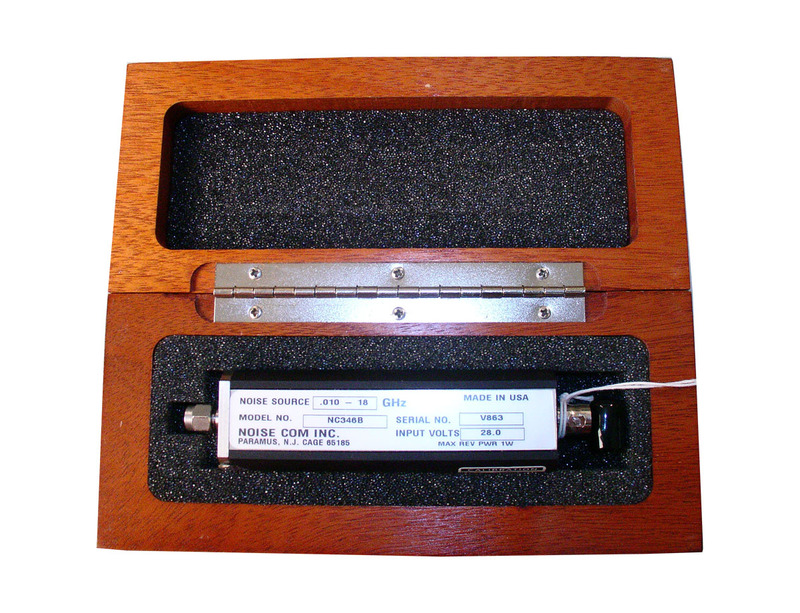 Noisecom UFX7109 - Programmable White Gausian noise generator. 100 Hz to 1 GHz. Noisecom UFX7112 - Programmable White Gausian noise generator. 1 MHz to 2 GHz. 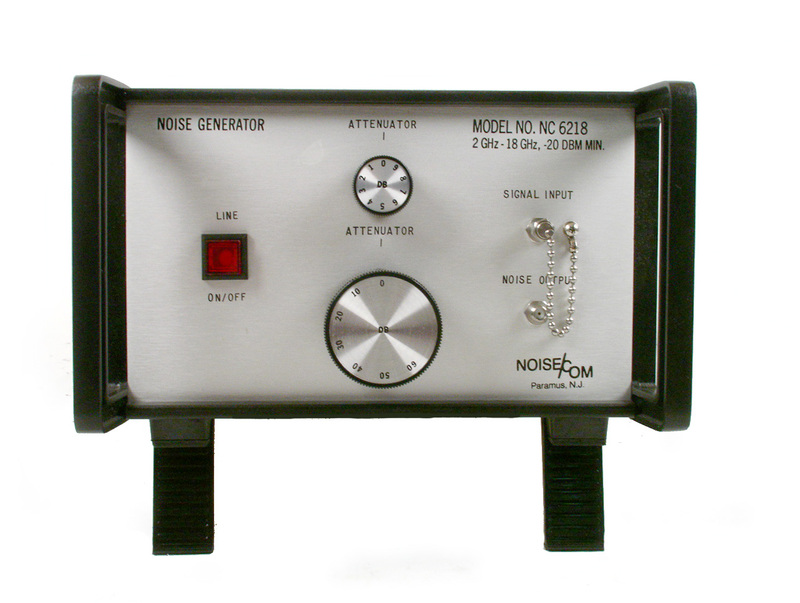 Noisecom UFX7905 - Programmable White Gausian noise generator. 500 Hz to 10 MHz. 1 Watt output. 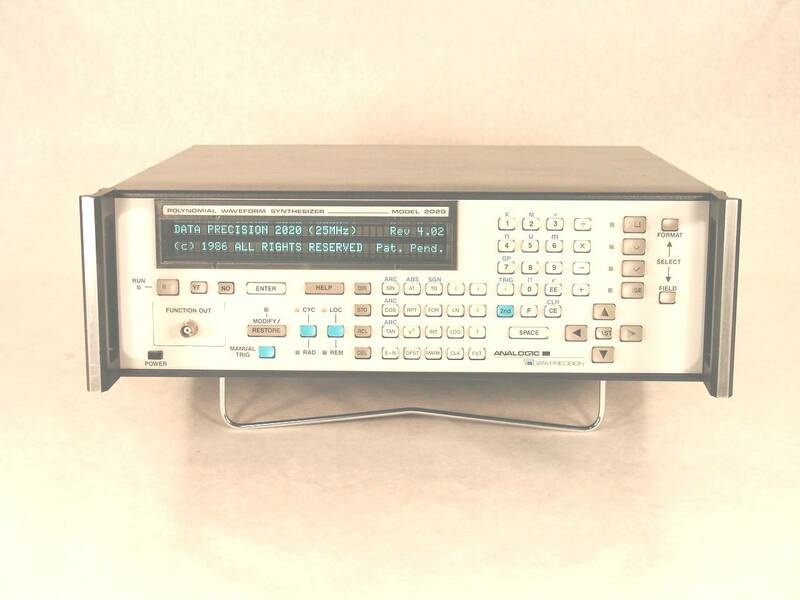 Noisecom UFX-BER 1850/2442 - Precision Carrier Noise Generator, 1850 MHz w/ 393 MHz Noise B.W., 2442 MHz w/ 192 MHz Noise B.W. 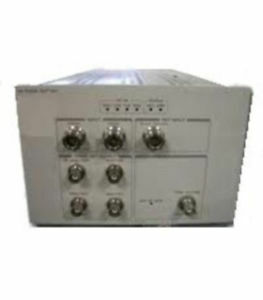 Noisecom UFX-BER1200 - Precision Carrier Noise Generator, 1320 MHz with 431 MHz B.W., 1080 MHz with 341 MHz B.W. Noisecom UFX99CA - Programmable noise generator for CATV and data over cable (Docsis). 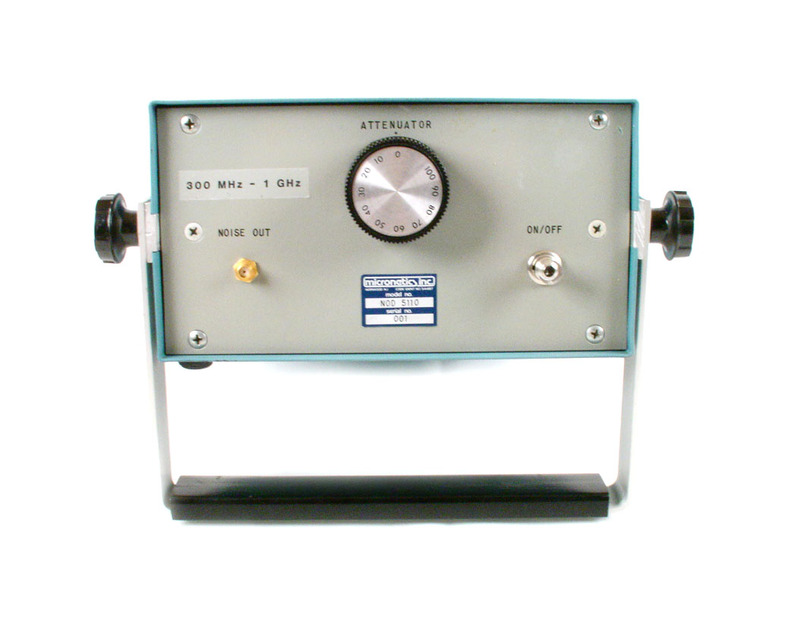 W&G RS-25 White noise genertor. 6 KHz to 25 MHz. 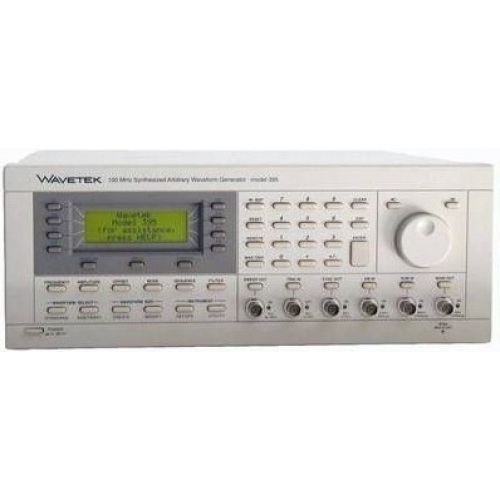 Includes bandstop filters at 16, 394, 770, 16400 KHz, and a band limiting filter at 12 - 804 KHz.